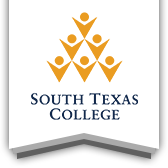 South Texas College is committed to ensuring that digital content is accessible - meaning that everyone has equivalent access to the content regardless of ability. The systems that run the college website and Blackboard are considered to be accessible. However, everyone shares a responsibility to make sure that all content and documents in those system are accessible as well. These guidelines and resources explain how to improve accessibility when creating content such as webpages, documents and Blackboard course material. The web has a diverse audience - not everyone browses with a large screen and a mouse. Some only use a mobile phone with a tiny screen, while others may not use a screen at all. Using accessible techniques for web and electronic documents will improve the user experience, regardless of screen size or use of assistive technology such as screen readers. Certain formatting is intended for certain types of content - you'll need to use the appropriate structures and formats that best suit your information. Students may request accommodations from the Counseling and Student Disability Services each semester. Visit Counseling and Student Disability Services for more assistance. Faculty may contact Johnny Gonzalez with the Distance Learning Department for questions regarding accessibility.